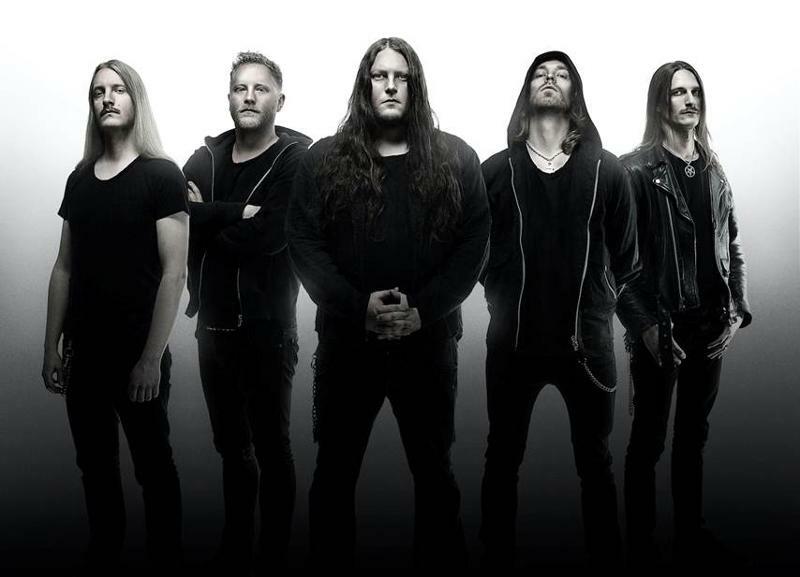 SWEDEN – Sweden’s ultimate dark rock/metal band, Katatonia, has announced an extensive North American tour with headliner and fellow Swedish elite, Opeth. 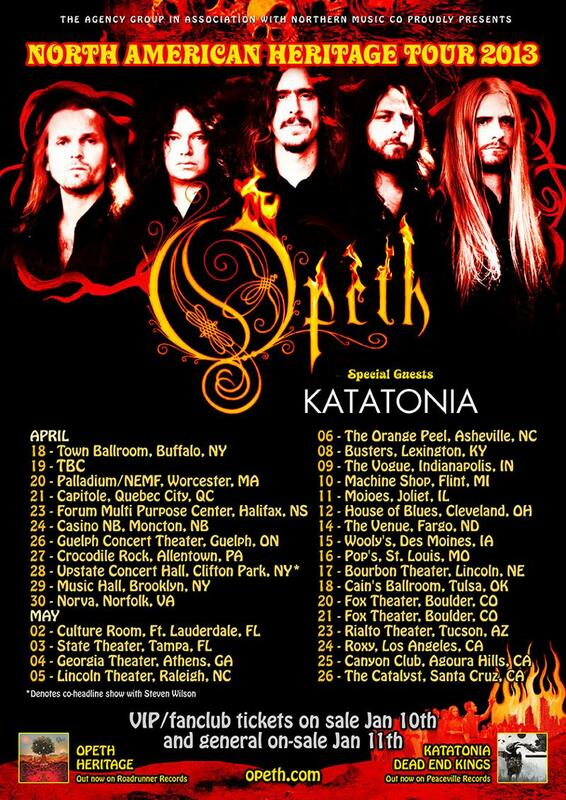 The upcoming run, “North American Heritage Tour 2013,” will conquer over 30 cities this spring beginning April 18 in Buffalo, N.Y.
Katatonia last toured North America in September 2012 as part of the co-headlining “Epic Kings & Idols Tour” with The Devin Townsend Project. Dead End Kings, Katatonia’s ninth studio album and the follow-up to 2009’s critically acclaimed,Night is the New Day, hit stores on August 28, 2012 via Peaceville Records. The record debuted at #4 on the Billboard Heatseekers chart, #138 on the Billboard Top 200 and #10 on Hard Rock, topping Night is the New Day first week sales in the U.S. and making it Katatonia’s most successful U.S. debut in its 20-year career. This entry was posted in Classic Metal, Classic Rock, Glam, Guitarists, Heavy metal, Internet Radio, Metal, Music, Rock, Rock N' Roll, RockStar, Tattoos, Thrash Metal and tagged 80's, Alternative Metal, Anders Nyström, Avantgarde Music, black/doom, Bleach Bang, Bleach Bangs, Bleach Bangs Radio, Bloodbath, Candlelight, Century Black, Charlie Owens, Daniel Liljekvist, Dead End Kings, Death/doom, Decomposed, Diabolical Masquerade, Doom Metal, Entity, gothic metal, Hard Rock, Heavy Metal, Jonas Renske, Katatonia, Koch, Melancholium, Metal, Music, Music For Nations, Niklas Sandin, No Fashion, North American Heritage Tour 2013, October Tide, Opeth, Peaceville, Per Eriksson, Porcupine Tree, Progressive Death Metal, Progressive Metal, Progressive Rock, Randy Norris, Roadrunner, Rock, Rock N' Roll, Rock Star, RockStar, Steel, Stockholm Sweden, Storm Corrosion, the Hellion, the Hellion Rocks, Vic. Bookmark the permalink.